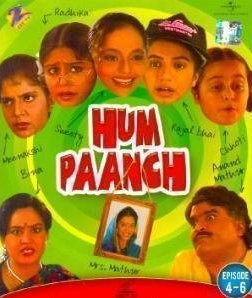 Episode #5 of Hindi TV Serial Hum Paanch explores the incidents happened at Anand Mathur’s home when his mother-in-law paid them a visit. After seeing some mismanagement at Anand’s home his mother-in-law decided to take charge of the home and control everything, which resulted into tough situations for Mathur family. It all starts with the scene where we see Anand was getting romantic with his wife. Actually it was the time when one daughter was out of station and rest of the 4 were out for picnic to Essel World. So they both were alone in the home. He remembers the sacrifice she did so far. As she is the second wife of Anand, she was loaded with the responsibility as soon as she came. Anand already had daughters from his first marriage and Beena had to take the responsibilities of them all. Every girl has her own dreams about marriage, life-partner and domestic life, it is not easy to sacrifice all those stuff and adjust to the new environment. Indian women does it very effectively and silently. There are a lot of Indian women who are living for their families and almost sacrificed themselves and their personal interest. That is probably one of the major reasons there are quality of life, morals and ethics implanted into the Indian children and when then grow up they think about the interest of family rather then themselves. This idea when got even stronger person thinks about the society rather than their own family and ultimately it is converted into वसुधैव कुटुम्बकम् – one of the greatest philosophies. Anyway, let us focus on the content of the episode. The romantic conversation between Beena and Anand was interrupted by his mother-in-law (Beena’s mother). She paid them a visit without warning and at a very wrong time. We often see such guests, who come to pay a visit at wrong time! A realistic situation explored here. The conversation between Anand and Beena is very realistic and natural. In almost all Indian families we see once have kids, the couple’s priorities are always changed to them. The first couple of lines in the conversation are emotional and most parents will like them. The romantic dialogs of the middle age has to be mature – as now the couple do not live in the world of their fantasies but they are introduced to the realities – and you find exactly the same here. A couple of dialogs by Priya Tendukar (playing the first wife of Anand Mathur, who is part of the family as a photo frame in the drawing room) irks some dialogs which are a comic relief. The makeup and wardrobe is fantastic in these scenes. Sarita Joshi plays her part very convincingly. The set of the home is very authentic and the designer took a lot of care to pay attention to smaller stuffs. 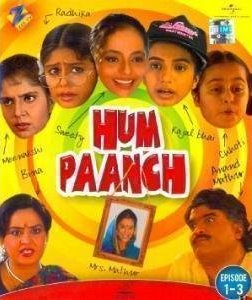 Also the scene where girls are not eating food which their grand mother cooked, or the scene where they tease their father are not up to the mark and they convey the wrong message. But overall the episode is balanced. And mainly there is good stuff there. The scene where Beena’s mother is cleaning up the drawing room is quite natural. The way she deals with the photograph of Anand’s first wife is quite natural in terms of human behavior. The scene followed by it has some finest and witty dialogs in terms of humor. And they are delivered with the fantastic comic timings. It is then followed with the climax which we rather not discuss to avoid spilling some beans. But, it is overall a nice episode which generates some genuine humor. It also conveys a message that one should behave above a certain limit when visit someone as a guest. And in a lot of cases a married girl’s mother have the tendency to interfere in her home and family. Which is wrong. This episode conveys it. pretty well. It is a nice watch with fantastic performances by almost everyone leading by Ashok Sharaf, Sarita Joshi and Shoma Anand. The screenplay is above average. The background music is fantastic and so does the DVD quality. Our personal verdict, you can go for it for some genuine humour for sure.